So you are moving house, rearranging your bedroom or replacing your old waterbed mattress. 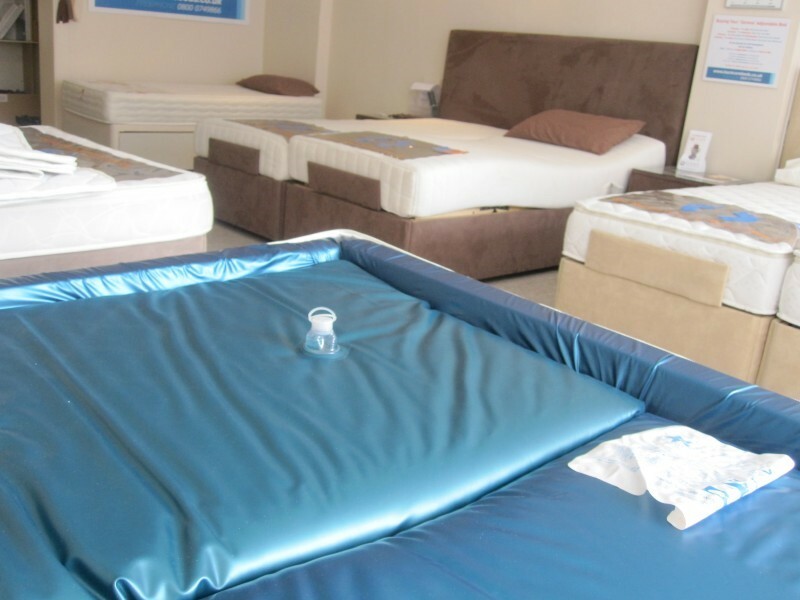 Your nearest waterbed retailer should be able to provide a service to suit your circumstances. If this is not possible or they are too expensive you should hire a dedicated extraction pump from your nearest waterbed shop and empty the mattress yourself. If you cannot find a suitable pump then you will need to resort to siphoning the water bed mattress using a garden hose. We strongly advise against siphoning the mattress but if this is a last resort we have written this article based on years of experience to help you as best we can. Please be aware that this article is only for advice if you choose to follow it and things go wrong we cannot be held responsible. In order to fully empty your waterbed mattress you must follow these instructions meticulously. Unplug the waterbed heater. And remove as much air from the mattress as possible. Nearly all modern waterbed mattresses contain layers of fibre to reduce the movement, this fibre will prevent you from siphoning the water successfully. You will need to push the fibre away from the valve. This is done by putting your fists either side of the valve and pushing towards the head end of the waterbed. Repeat this process several times until you have created a well around the valve with no fibre. Carefully slip one end of the hose into the valve and underneath the layers of fibre. Using a waterproof tape (insulating tape is best) approximately 2 inches from the valve, wrap the tape around and around the hose until you have built up the outside diameter to be a tight fit into the waterbed valve. Then twist the hose the last few inches into the valve, this should form an airtight seal which is essential. Connect the other end of the hose to a water supply and start filling the water bed mattress. Once the water is going into the mattress there is obviously no more air in the hose this is the equivalent of having sucked on the other end of the hose to start the siphon. (getting a mouthful of eight year old waterbed water isn’t advisable) Disconnect the hose from the water supply and drop it down below the height of the bed, down the stairs is preferable. If you have followed the information correctly, the water will begin siphoning and will continue to pull all the water out having created a vacuum. Although the mattress will still be heavy it should be manageable. When there is no more water coming out remove the hose quickly and replace it with the plug and screw on cap. There will still be a lot of water contained in the fibre. If you lift the head end of the mattress without gripping the fibre inside there is a chance that the fibre layers will slide into a bunch. This will ruin the mattress. Fold the mattress taking care that the fibre layers cannot shift. You should now be able to lift the mattress out of the frame. If you intend to store the mattress for more than one month, two bottles of 4oz waterbed conditioner should be added at this time. We do not have detailed information on how to do this at this time so you may find it easier to call us on our free phone number for advice.